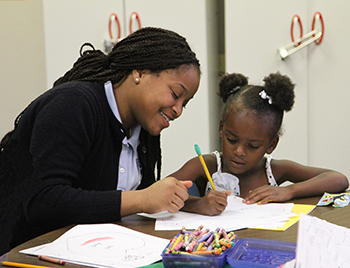 With the start of the school year, we open the doors again for the BridgeBuilders KIDS After-School Program. It has been a great start to the year, with several exciting developments this fall. Partnership with Dallas Afterschool Our new partnership provides us with connection to numerous other after school programs in the area, free training, and more. The programs and help offered by this organization allow us to reach higher standards, constantly helping us better our own program. New Leadership After a year of working in the After-School Program, we are excited that Shaun and Laverne Grant have joined the BridgeBuilders team, leading the day-to-day operation of the program. Regina Suttle continues to handle the administrative leadership, focusing on volunteer engagement and obtaining funds and grants. YMCA Partnership This fall we are also partnering with the YMCA for swimming lessons. Currently between 8-10 kids can earn the opportunity to go to the lessons, with the potential for more as the partnership grows. Dallas Police The Dallas Police Department is helping us provide much-needed conflict resolution. Community officers are coming to the program and working with our teenagers on their ability to manage and resolve conflict. Not only does this provide a needed life skill, it also fosters goodwill between and our community and the police. Roster once again strong Every day we have around 65 kids coming to receive these programs, not to mention a hot meal, homework help, and more, all in a safe and supportive environment. And we need your help! We need 4-5 volunteers each day, as well as help providing the meals for these kids. If you are interested in volunteering or feeding a fun group of kids, click here to email Regina Suttle. We are now two days removed from one of our biggest events of the year, I Got Your Back. 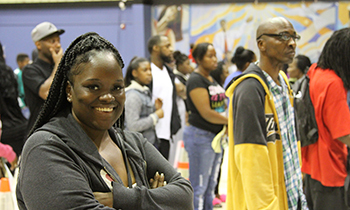 This year 50 volunteers gathered to distribute backpacks, food, supplies, and more to almost 400 community members. Not to mention lots of face paint, photo booth pictures, and sno cones! In addition, the program provided backpacks to other community organizations and churches. All totaled, IGYB provided more than 1100 backpacks into our community! 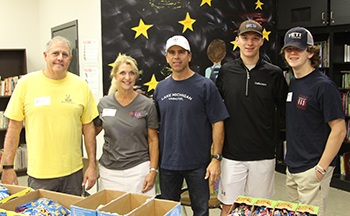 A BIG thank you to volunteers and to those who filled backpacks! Check out a few photos of the event below. 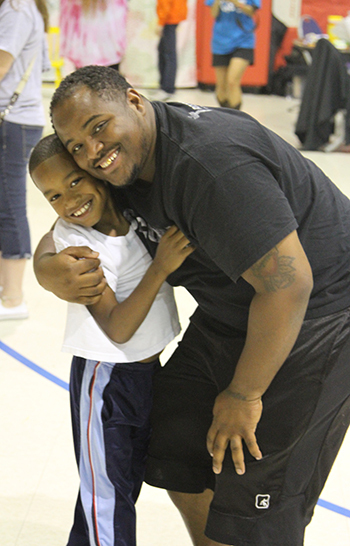 William “Coach P” Pearson is the director of the BridgeBuilders KIDS youth sports programs in Bonton. We recently sent out a letter from me telling of some of the exciting things that happened at the youth camps this summer in Bonton. Click here to see a full version of the letter. 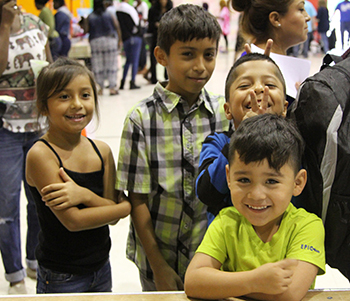 With another school year comes the launch of several significant programs geared toward the kids of Bonton. First, I Got Your Back, our annual school supply drive, followed by the start of our After-School Program, and finally tipping off boys and girls basketball and cheerleading this fall. It is a busy time for BridgeBuilders KIDS! All of these programs need your support. 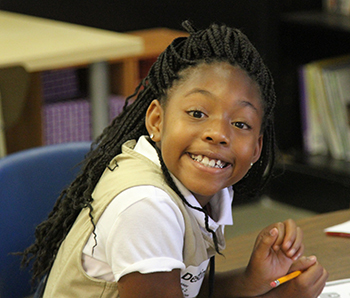 Your gift to BridgeBuilders helps us provide these and other much-needed programs in the community. This summer we have planted seeds of hope in these children. Together we must continue to water and nurture those seeds to see roots go down, as God gives the growth. To partner with us as we launch from summer to fall, click on the button below! This summer the BridgeBuilders community staff, along with a host of volunteers, have put on the S.A.F.E. Camps in Bonton. 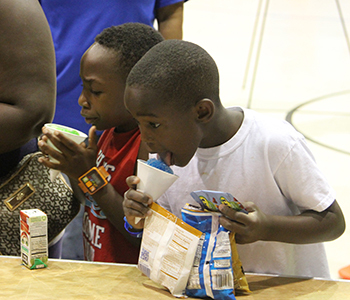 These camps have provided not only a safe and healthy atmosphere for the children of Bonton while they’re out of school, they have also provided instruction in numerous sports and activities. Additionally, every week there are focused days on character development and academic progress, and Field Trip Friday provides an opportunity to go to places like Hawaiian Falls and Flight Deck, an opportunity the kids may not get otherwise. 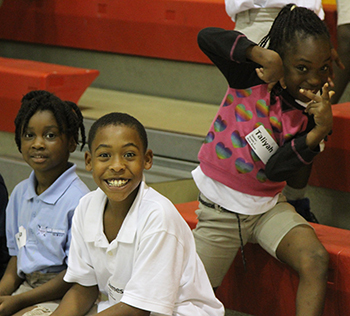 While the camps do provide a fun environment, ultimately the goal is the continue the positive work being done in the lives of the kids in Bonton during the school year through the After-School Program and the sports programs. The summer has presented unique obstacles, specifically in the area of challenging the students to work hard. 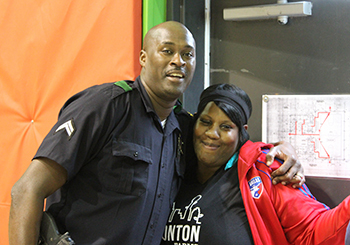 However, through the challenges we have seen transformation in the lives of the Bonton youth. Check out a few pictures below, and for more about the summer progress from William "Coach P" Pearson, our Director of Youth Sports Programs, check out our August letter, hitting mailboxes in a few weeks.